In the past, awareness month advocacy has been all about raising awareness of a particular condition, disease, or cause; however, the focus is now shifting to bring not only awareness, but increased knowledge, acceptance, inclusion and support. Autism from the Greek word autós (αὐτός, meaning “self”) literally means “alone.” And those with the most serious cases of autism are often living in their own little world, unable to communicate or relate to the world around them. However, autism is not always that severe. Autism is known as a spectrum disorder, meaning that the severity of autism can be found on a large spectrum and affects each patient differently. Some with autism are highly functioning, very intelligent and often have highly developed skills in math, art, music, or spatial skills; but others may need continued care for the rest of their lives. Trouble communicating, relating to other people and understanding the world in which they live is characteristic of those with autism. Autistic individuals are unfortunately often misunderstood and may have trouble understanding social and emotional cues, or may exhibit behaviors that appear inappropriate or strange to others. Difficulty with communication, and often underdeveloped social skills, can make friendships difficult. This can be particularly difficult for children and teens in school and can make individuals with autism more vulnerable to bullying than others. Keeping in mind that these students may already be facing challenges socially and at school, bullying can be devastating. According to a national survey conducted by The Interactive Autism Network (IAN), 63% of children with ASD, ages 6 to 15, had been bullied at some point in their lives. In some cases, they may also become the “bully” simply because they don’t understand appropriate behavior, as a means of expression, or as a way to get attention from others. Changing the way society perceives and interacts with individuals with autism, and other disabilities, starts with education that includes not only awareness, but understanding, acceptance and inclusiveness. Inclusion means respecting the differences that make us unique, promoting acceptance and providing opportunities for the individual to participate as part of a community. How can you raise awareness, increase knowledge, acceptance and inclusiveness? Talk about autism. Explain some of the characteristics, behaviors, and challenges that autistic individuals encounter. It is difficult to accept something that you don’t understand. Myth: All autistic individuals are violent. Myth: Autistic individuals can’t make friends or have relationships. Myth: All individuals with autism are mentally retarded. Myth: All individuals with autism are savants. Myth: Autistic individuals have no feelings. Myth: Autistic individuals can’t communicate. If a person does not seem to fit in or acts in a way they don’t consider to be “normal,” consider the thought that they may have autism, or Asperger’s. Make an extra effort to include people who are on the sidelines or don’t seem to know how to initiate a conversation; likewise, explain to people that inclusion sometimes means just being kind to the individual and inviting them to join in when they are ready, or sit nearby if that is what s/he would like to do. Discuss bullying and reiterate the rules for good citizenship, both offline and online. Bullying often becomes cyberbullying and good citizenship lessons apply in our online community as well. To ensure the safety and success of internet usage, it is critical that all individuals learn how to protect themselves online, and that they understand what is and isn’t appropriate on the internet. Ensure your school has policies that address how to respond to bullying situations and AUPs that cover cyberbullying. 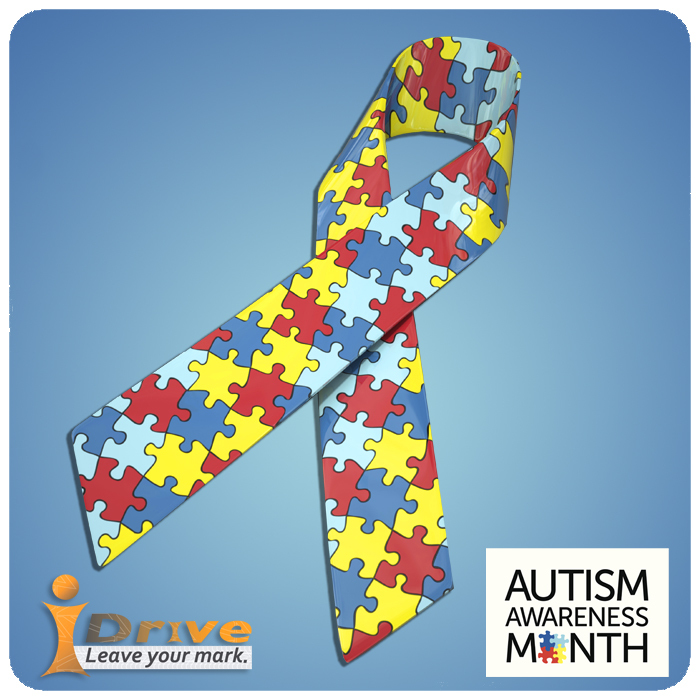 Join the Autism Awareness Month! Share your stories of acceptance and inclusion, e-mail us at advisoryboard@isafe.org. You can remain anonymous if you wish.